Yes, made me smile! Good score. It is so cute! I'm glad you are giving it a loving home. Very pretty little machine, great price, I'm glad it works too. Good for you. Very cute and how wonderful it/she found you to give it a good home. Awe, how cute is that! Would make me want a little granddtr to teach how to sew! Terrific find! I would have had to bring it home, too, especially at that price. A wonderful conversation piece for your sewing space....and even better if it works. It appears to be in great shape. Glad it actually works. 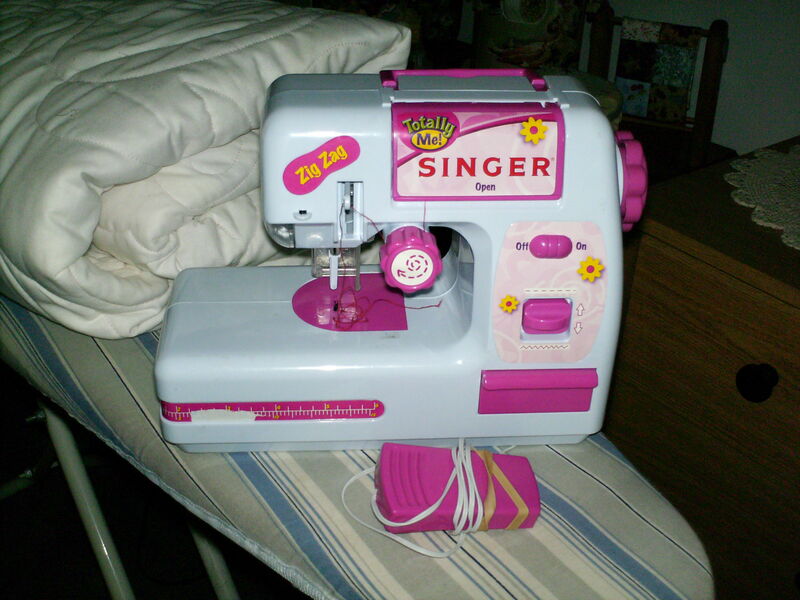 I bought a "toy" machine (but suppose to have both straight and zigzag) for my niece's daughter at Christmas--we could NOT get the top thread to pick up the bobbin thread--just a huge design flaw. Took it back and lucked into sale on the mini Janome at Hancock;s that was only about $15 more than what I paid for the other one at JoAnne's--the flawed one was either a Brother or a Singer--think it was a Singer. Oh my goodness that is cute, good buy, thank you for sharing. It's cute! Congratualtions on your find. That is so cute. I would have gotten it too. I got a red one not too long ago. So, I know why you couldn't resist. They are sooooo cute! Too cute and a super deal!